This handheld high definition android inspection camera makes use of optoelectronic technology to investigate hard-to-reach area with high quality images. Compared to traditional models, this new models can work together with your smartphones, tablets, laptops and PCs. You can capture image and video. In addition, the camera head equips 6 pcs of adjustable high-intensity LEDs (with brightness control) to illuminate the inspection areas specifically. The 0.5m/1m or 3m camera tube is IP67 waterproof with 8.0mm diameter camera head so that you can inspect area under water, gaps and holes. 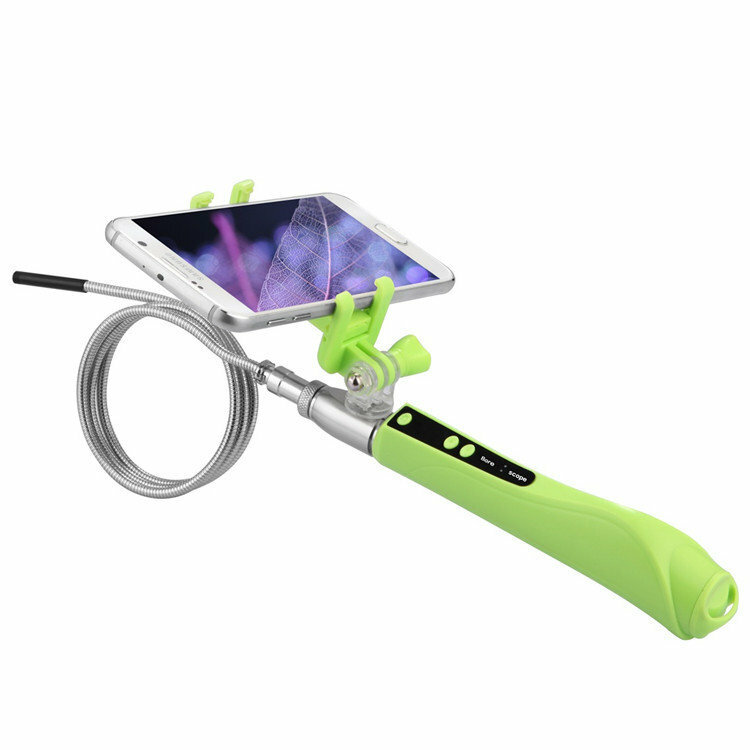 The tool set also comes with 3 accessories hook, mirror and magnet to attach to the camera head for picking up small objects, hooking to identify the problem conveniently. Lens with 6pcs adjustable LED lights waterproof. Power Source: Android phone or USB 5V. Noticed : Support Android phone has OTG and UVC function. (USB On-The-Go) An enhancement to the Universal Serial Bus (USB) that enables portable devices to be cabled together via USB without a computer in between. OTG creates a "dual-role" device that can act as host or peripheral. (USB-Video-Class) is a USB device class that describes devices capable of streaming video like webcams, digital camcorders, transcoders, analog video converters and still-image cameras. Others(Made in China) BBK / Lenovo are nonsupport.Because the phone’s supplier blocked peripheral camera function.